I joined international lawyer Dr. Harry Hagopian and Premier Christian Radio’s Marcus Jones to discuss how real the ISIS threat towards Lebanon is. Given that I spoke on the phone from Beirut, the call isn’t as clear as I’d like it to be. Click on the image above to listen in. After some initial success, negotiations for the release of over 30 Lebanese hostages held by the Islamic State and Jabhat al-Nusra took a turn for the worse this weekend, when the Lebanese religious institution mediating the talks suspended their involvement. Citing challenges in securing the militants’ demands, the Muslim Scholars Committee said it would “make way for other intermediaries” to get involved. But with the militants reportedly refusing to work with anyone but the committee, the hostage negotiations may be in freefall. Lebanese Armed Forces on the way to Arsal. Image by Reuters. 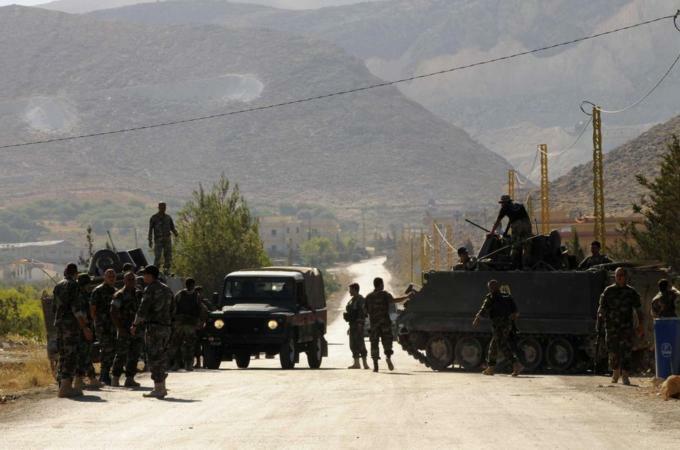 Just before noon on August 2, in the Lebanese border town of Arsal, the Lebanese Armed Forces (LAF) arrested Abu Ahmad al-Jumaa, a Syrian rebel commander who had recently pledged allegiance to the extremist Islamic State group. His arrest sparked a number of clashes in the largely Sunni Bekaa town between his supporters and Lebanese security forces stationed in the area. 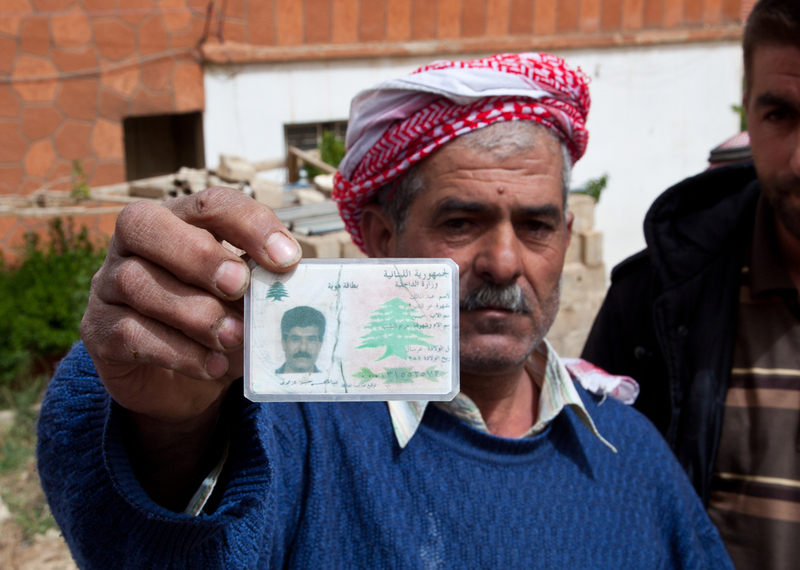 But Jumaa’s story and the significance of the August 2 events have repercussions beyond the small Lebanese town. Halima Zaroubi, a frail 80-something-year-old woman, breaks into tears when describing what’s happened to her home. “Our houses are gone, our lands have dried up,” her voice cracks. “Everything’s gone.” Since the outbreak of the Syrian civil war, millions of people have been forced from their homes. 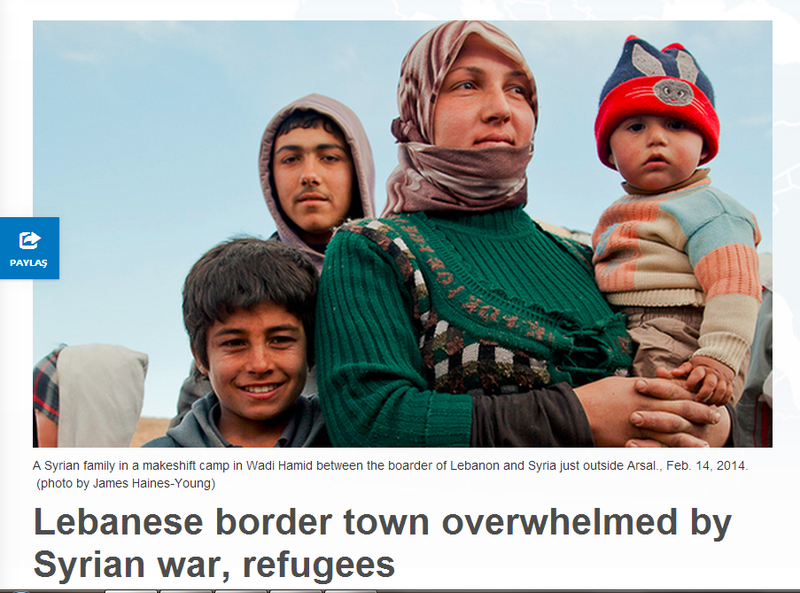 However, Syrians are not alone in having to escape the country’s overwhelming violence. Lebanese by birth and by nationality, Zaroubi had been living in Qusayr, a border town in Syria’s Damascus province, for 60 years. Like tens of thousands of other Lebanese who lived and worked in Syria for decades, Zaroubi and her family were forced to leave and settle back in their native country. But rather than settling back into their native land as citizens, they now live like refugees in their own country. ARSAL, Lebanon — The once sleepy little town of Arsal lies in the far east of the arid Bekaa Valley, along the Lebanese-Syrian border. With its unpaved roads and half-finished stone buildings, Arsal had been a typical dusty and isolated border town, but since the beginning of the uprising in neighboring Syria, it has taken on a much larger role: It is now host to a Syrian refugee population that is more than double the size of the town’s Lebanese residents. Arsal is cracking under the pressure.